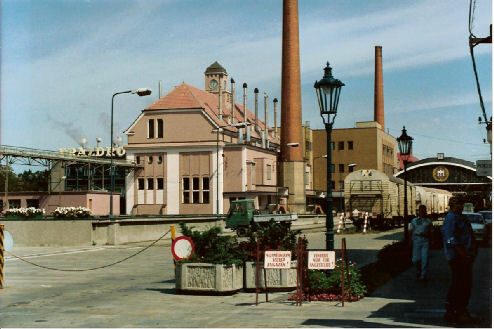 Notice in this photograph that the brewery’s signpost says “PlzeÅˆskÃ½ Prazdroj” whereas in the second picture (below) this has been replaced with a sign saying “Pilsner Urquell”. 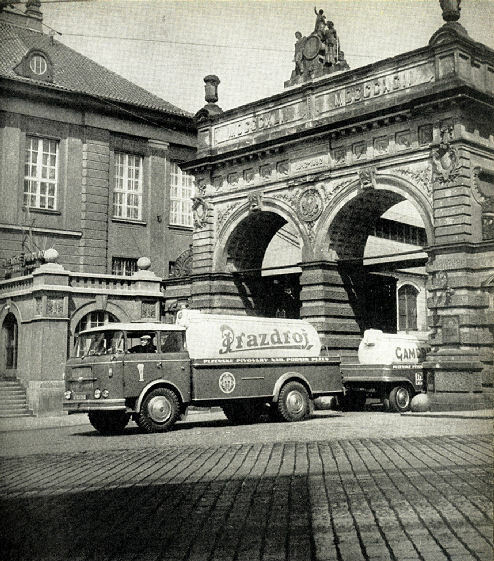 In order to strengthen international corporate and brand identity, the name PlzeÅˆskÃ½ Prazdroj was dropped in favour of the German name “Pilsner Urquell” which was already being used in the largest markets. A second and, in my opinion, more important change (excluding the flower garden) is the fact that one of the gates is open. This shows the transition from closed industrial plant to open public monument. This change will be further discussed later in this post. You may notice that I haven’t posted the crowd photos yet. 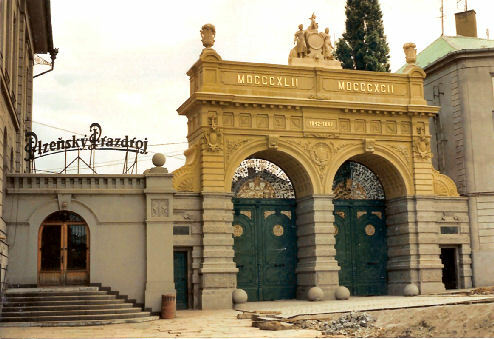 I had to put that on hold because I found this magnificent photograph of the brewery gates in 1983. 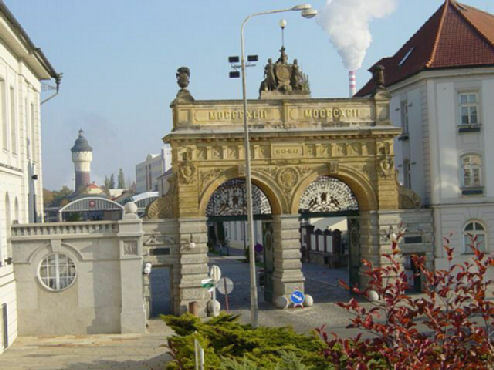 Notice that one of the brewery gates is open. That seems to negate my earlier comments… The red star is quite obviously there too and the slogan Nositel Å˜Ã¡du PrÃ¡ce which I have been unable to translate – can anybody help with that? Thanks to the Unitversity of St Andrews for their kind permission to include the above photograph which clearly shows the same brewery sign seen in the 1950s (see below). 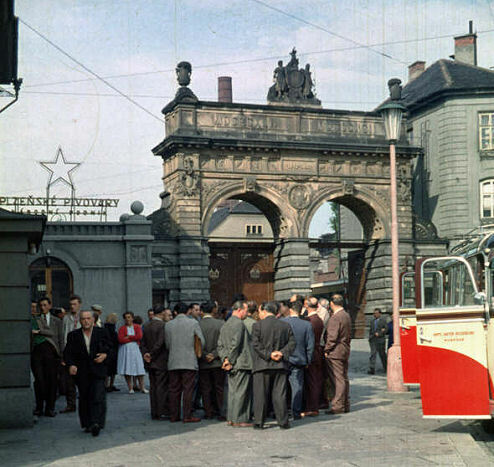 I want to thank George for sending me this fantastic picture of the brewery gates in the 1950s. The star here is just an outline – similar to that found at the main train station. 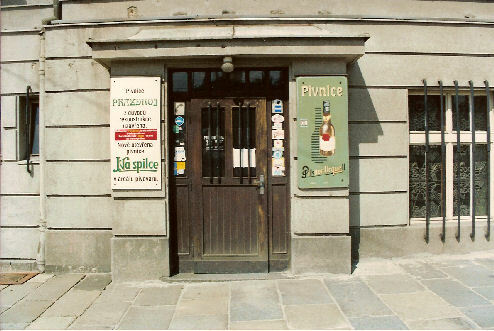 The sign over the door says “PlzeÅˆskÃ© Pivovary” and “NÃ¡rodnÃ­ Podnik” (National Company). There seem to be some familiar elements missing from the scene in the above photograph. 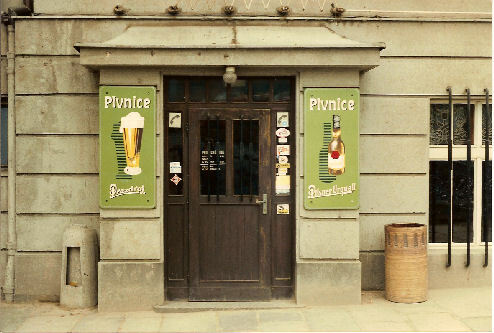 The most obvious is, perhaps, the sign which, by 2002, would have said Pilsner Urquell. Also missing, though are the steps and the door up to which they lead. I know, we can’t see the shop can we? Well, in 1991 the shop was housed in the building to the right as we look at the brewery gates. The door is, unfortunately, hidden behind the tourist coach. Every visit I made included a final visit to the brewery – to buy a box of beer from the shop. A box would include 12 500ml bottles of the world’s best beer but the interesting thing about it was that I would never know which labels would be on the bottles – sometimes they were labelled in Czech, sometimes in Russian, German, etc. Perhaps I should have kept some of the labels – people sell them on ebay these days! 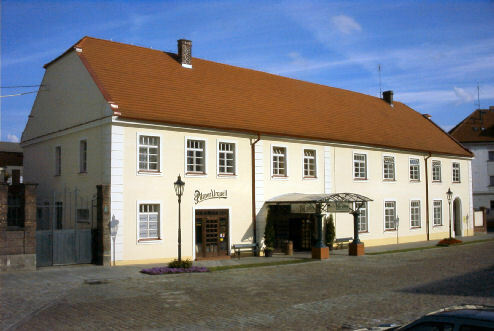 In 1991 PlzeÅˆ’s brewery restaurant Restaurace Prazdroj was one of my favourite places to eat. It was fairly small with long tables which encouraged people to talk. The food was excellent and with a steady flow of the world’s best beer, conversation was an inevitability – an excellent way to make new friends. The atmosphere was unique. The restaurant was, unfortunately, closed in 1992 or 1993. This too was inevitable as the sheer numbers of visitors wanting to eat and try a beer or two were just to great. 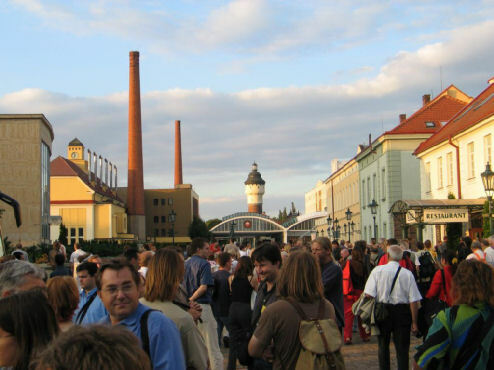 So a new restaurant, “Na Spilce”, was opened within the brewery grounds. Na Spilce is a much larger restaurant and caters for many more customers than the old restaurant could cope with. It’s sadly lacking in the atmosphere which made Restaurace Prazdroj so enjoyable. 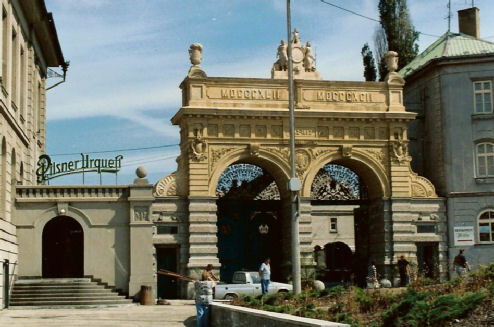 In 1992 the gates were opening and a list of brewery tour times was posted – they were tentative and dependant on a guide being available. No guide was ever available for me in 1992 but I did get to talk to some very nice people. In 1993 tours were not only easily available, but regular and crowded. Did I say crowded? In 1993? You should see them now! I’d like to see more early photographs – any offers? 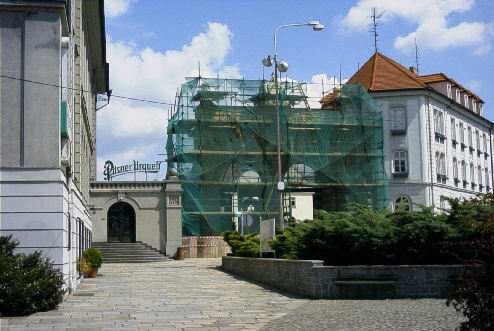 This entry was posted in Other, PlzeÅˆ on April 14, 2006 by Clive. Okay, so the buildings are great, but what about the beer? Was it really that good? I will try to translate the sign: “Nositel Å˜Ã¡du prÃ¡ce” in the third picture. I guess it could be translated like: “Ayardee of the Labour Award” – this used to be a very prestigious award during the Communist era given to the companies which were useful for the Communist regime.